A 385,423 square foot health and wellness spa built on the 7.41 acre site of the former Cullen Gardens and Miniature Village in Whitby, Ontario. This will be Nordik Group’s first facility in Ontario and third in Canada. The facility will accommodate 900 guests per day and be one storey from the front, and three storeys from the back sloping downward. 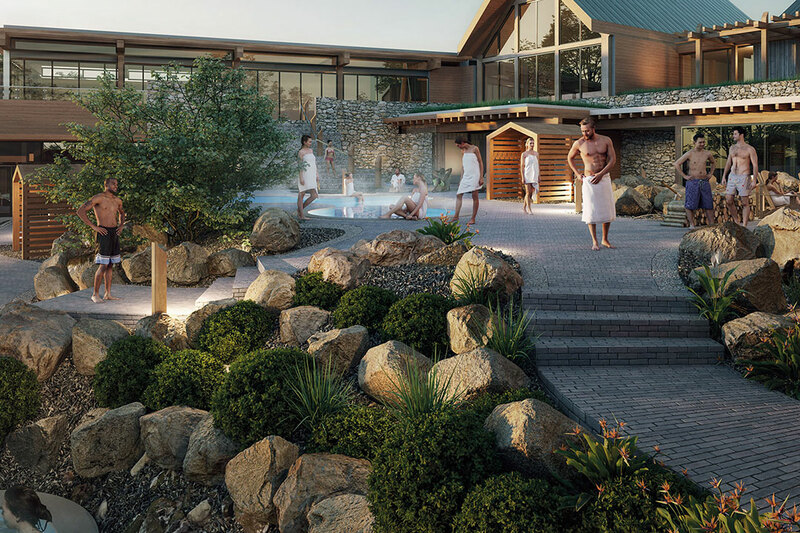 It will feature a post and beam Scandinavian style building, five outdoor pools of different temperatures (two hot, two cold and one temperate), five saunas, three restaurants, treatment rooms and indoor and outdoor resting areas.